I've been trying to find a good grain free chocolate chip cookie recipe for quite some time now. I've tried a few recipes and they were ok, but none of them I wanted to make again. 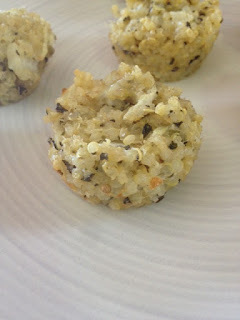 If I didn't read this post from Danielle at Against All Grain, I wouldn't of tried these. 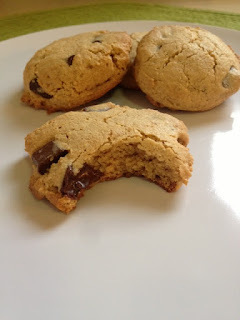 Her post convinced me that these would taste like a real traditional chocolate chip cookie, one that my husband would even eat! 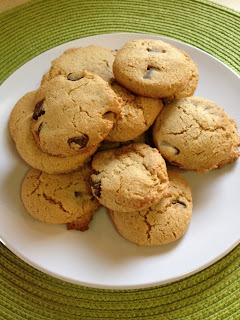 She was right, these definitely made my list of cookies to make over and over again. 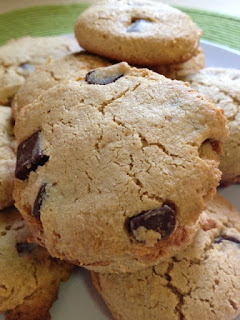 Even my husband who has said "these are not for me", about the last few grain free chocolate chip cookie recipes I've made, ate a few of these and went back for more! Anytime I find a recipe as good as this, I don't even bother to change anything, it is just perfect as is! Sometimes when I wake up and all the kids are ask for breakfast, I just need a quick breakfast for myself to get me going. I also like this shake for a mid-day snack when I need something or even after a workout. 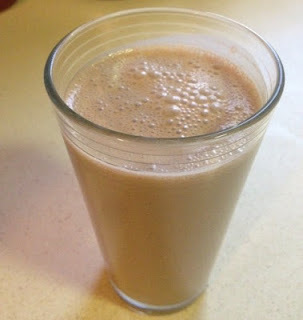 This is such a thick, chocolate satisfying shake you'll never know it is packed with nutrition! Put everything into a blender (I use a Vita-Mix) and blend until smooth. Since we had a ton of snow to play in outside thanks to Nemo, we were in need of some warmth when we came in. 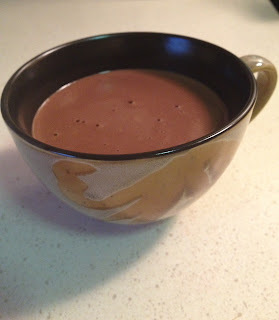 This hot chocolate was just what we needed. It is free of dairy and refined sugar. My kids loved it and I think this will be an after snow tradition for us, although I wouldn't mind making it without the snow part! This recipe was inspired by this recipe from Danielle at Against all Grain. 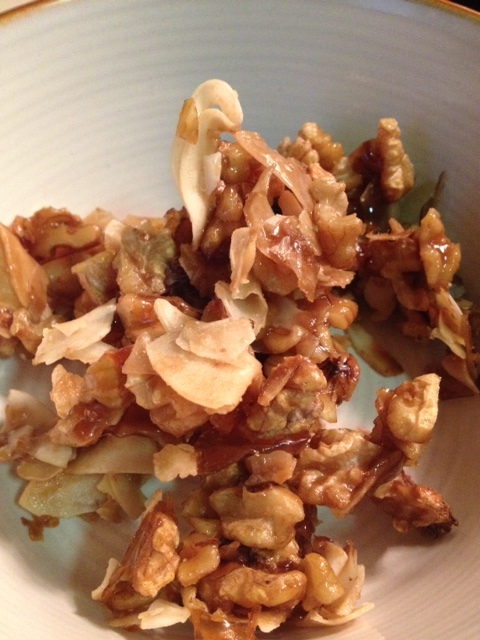 In a medium saucepan combine the almond milk, coconut milk and vanilla extract. Bring to a boil, reduce heat and simmer for 10 minutes. Add the honey, cacao powder and chopped chocolate and stir until combined and smooth. Pour into cups and serve hot. 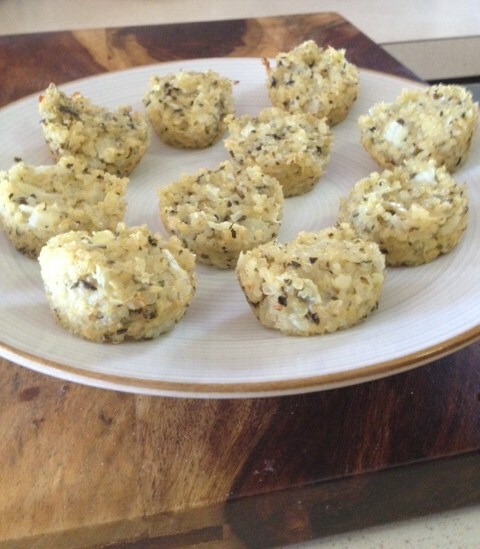 This is a great recipe for an appetizer or for a snack. It is packed with protein from the quinoa, is gluten free and really tasty. 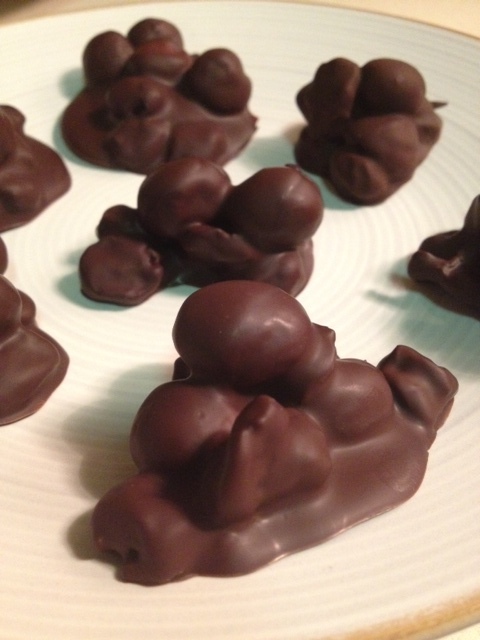 If you are serving these for a party you might want to double the recipe. These are also great kid friendly snacks. This recipe was inspired from this recipe. Preheat oven to 350 degrees. Grease a mini muffin pan with olive oil. First cook your quinoa. Bring to a boil 2 cups of water and 1 cup uncooked quinoa. Reduce to a simmer and cook for about 15 minutes until water is absorbed. In a large bowl, mix all of the other ingredients until well combined. 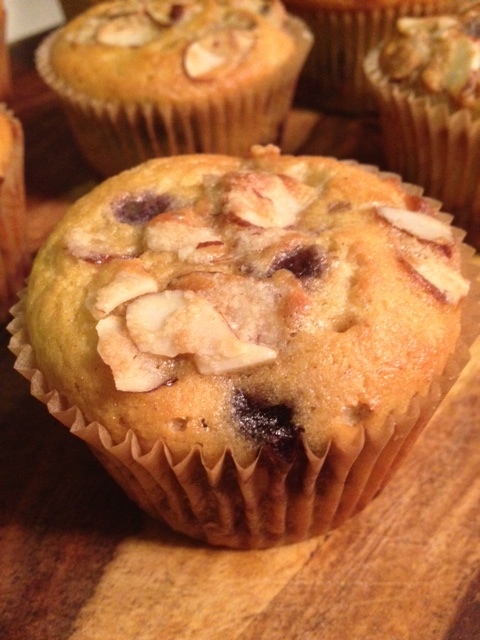 Use a small cookie scoop or tablespoon to fill the muffin tin. Fill each one to the top. Press down on each one to make sure it is well packed. Bake for 20-22 minutes, or until the bites are golden. Remove from the pan and serve. I love pizza, but when being gluten free and limiting grains it is not something I have often. 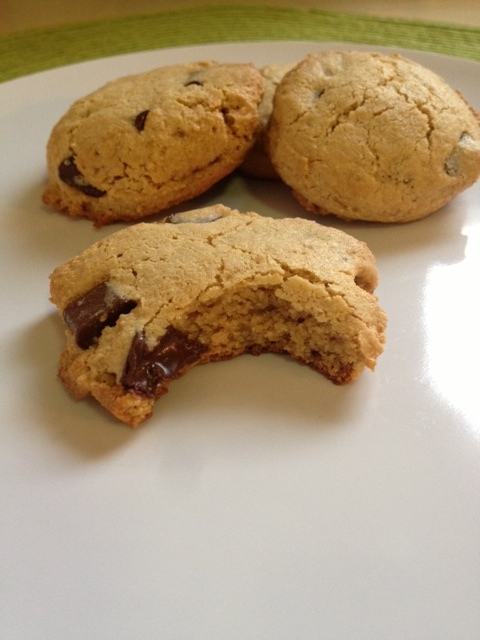 When I saw this idea in Paleo Indulgences I had to make it. Using Zucchini as a crust is an awesome idea. I sprinkled mine with kalamata olives and used my own homemade marinara sauce and goat cheese mozzarella. 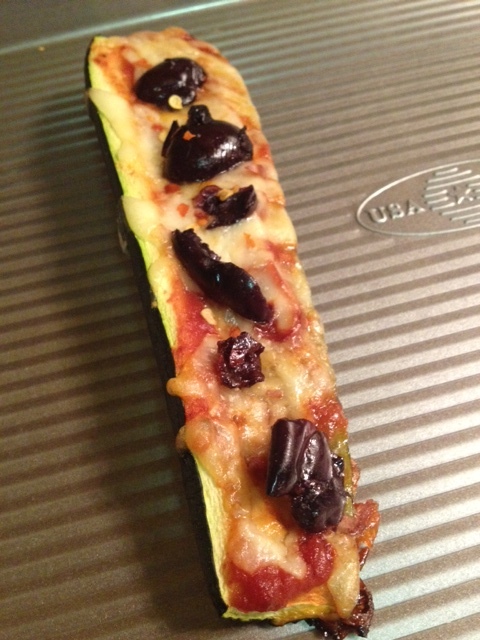 Lay zucchini on baking sheet, spoon a few tablespoons of sauce into well. Sprinkle top with mozzarella, kalamata olives, crushed red pepper and sea salt. My husband's favorite dinner is chicken cutlets, so I spiced these up a little and he loved them. Plus, we got the nutritional benefits of the Turmeric, Cayenne and Garlic! 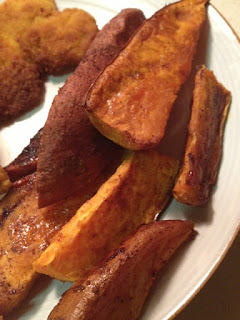 My kids loved them too, so this is a meal we will be making again. Add the gluten free bread crumbs, cayenne, garlic, turmeric and sea salt in a bowl and mix together. Beat your eggs in another bowl. 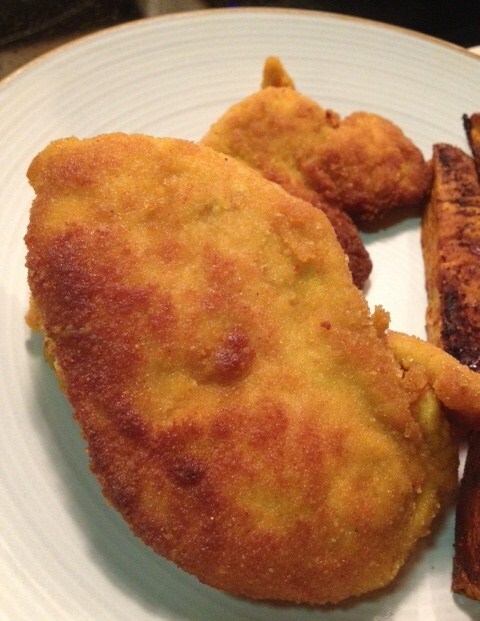 Dip your chicken first in the egg and then into the breading mixture. Fry in olive oil until cooked through and lightly browned on both sides. Transfer to a plate covered in a towel to absorb any excess oil. Preheat oven to 375 degrees. In a bowl, combine sweet potato wedges with olive oil and toss to coat. Lay on a baking sheet. Sprinkle with sea salt and paprika. Bake for about 50 minutes until soft in the center. 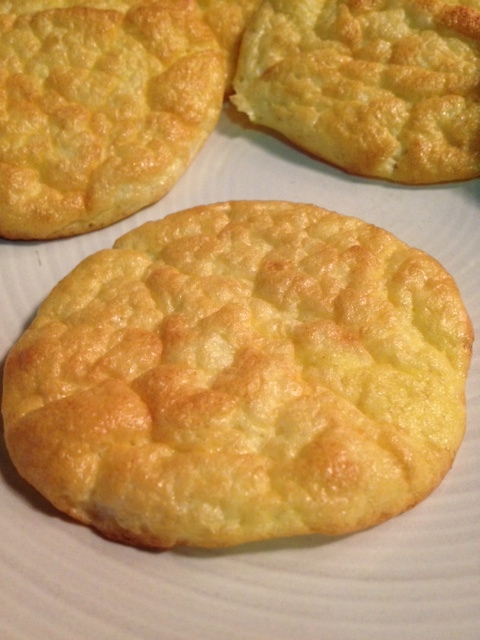 I am not 100% paleo, but I do eat many paleo foods and I'm always looking for new paleo recipes. I try to limit my grains, but for now having some grains and beans works for me. 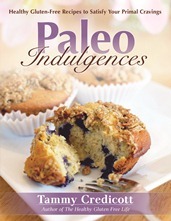 Whether you are paleo or not, Paleo Indulgences by Tammy Credicott is a great book. I have made the following recipes from this book and highly recommend it to anyone regardless of your dietary needs. 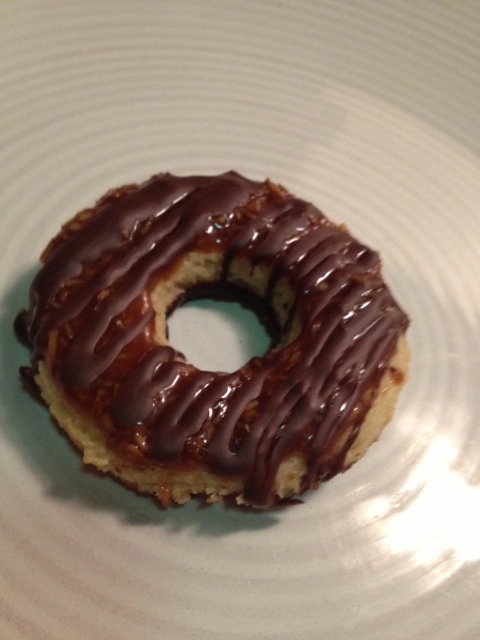 When I made my Samoas posted first here, I used the caramel recipe from this book. The recipe is posted here with permission from Tammy. Here is a few of the recipes that I made from this book and they were all amazing. There are many more recipes in this book that I cannot wait to make, such as Mandarin Chicken, Paleo Fish Sticks, Gingerbread Pancakes and Egg White Bread! Thanks Tammy for an amazing paleo book! **Update: I made the Egg White Bread, this was also great! I was never a big fan of Chinese food except for chicken with garlic sauce. Now, I never order Chinese food because it will most likely have gluten and most definitely soy in it. I came up with this dish as a healthy Chinese food alternative. 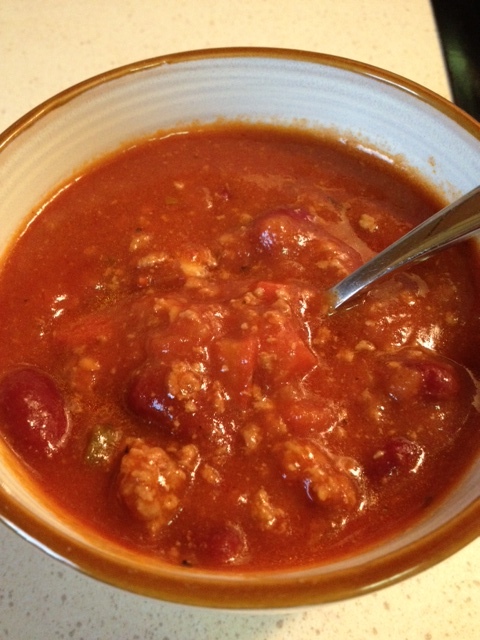 It is a little spicy so if your not that into spice you can leave out or use less of the chili paste. Place all sauce ingredients in a bowl and mix together. Divide in half and place cubed chicken into one half and marinade for about an hour. Heat olive oil in a pan over medium heat. Remove chicken from marinate with a slotted spoon and add the chicken to the pan. Cook until chicken is no longer pink, about 5 minutes. Add the reserved sauce and cook until chicken is cooked through. Stir in the broccoli and cook for a few minutes until heated through. Transfer to a plate and sprinkle scallions on top. 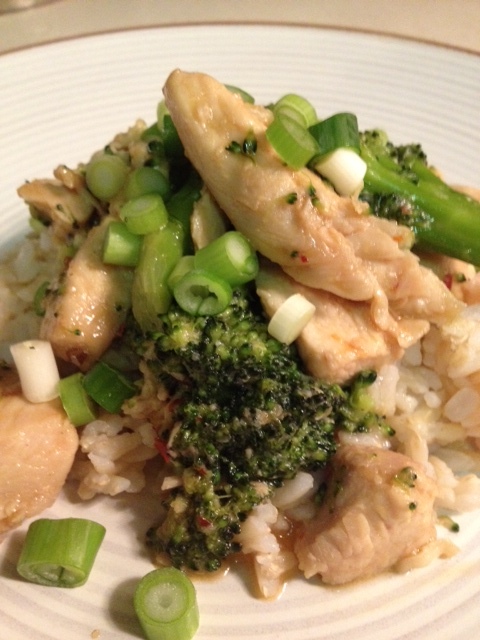 Serve over rice or quinoa. Okay, so I'm not into Football. I don't watch any games throughout the season nor do I watch the playoffs. I keep up so little that in order to make my cupcakes festive for the event, I had to Google what colors the teams were ;) But, I do get excited for Super Bowl food. So, here is my recipes for Super Bowl 2013. Follow Directions on pizza crust package. While your dough is rising cut your hot dogs into thirds. Using very wet hands (and make sure to keep wetting them) spread dough about a 1/4 inch thick onto a clean surface and cut into strips. 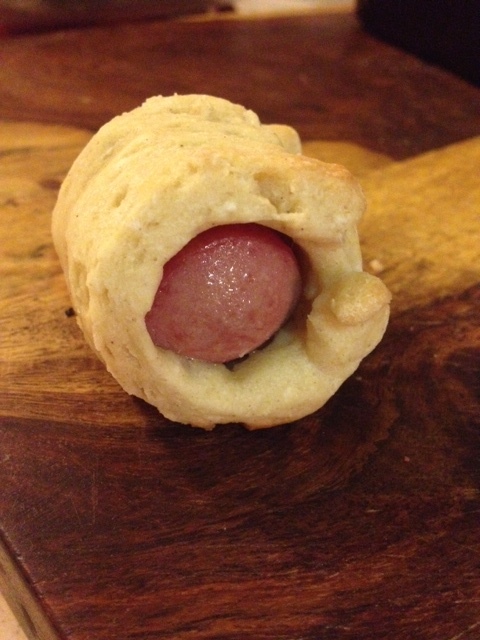 Place hot dog on dough and roll. Place onto a lightly greased baking sheet and bake at 350 degrees for 30 minutes. Next is my Honey Chili Chicken Wings. These are my husband's favorite. My kids ate them for the first time and loved them. This recipe is adapted from this recipe from Bobby Flay. Rinse your chicken wings and pat dry. Grease a baking sheet with olive oil. In a bowl, combine honey, adobo, dijon, chili powder, paprika, salt and olive oil and whisk together. Divide mixture into 3 bowls and set aside. 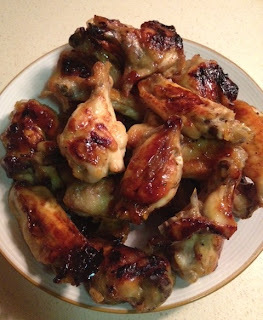 Lay wings on baking sheet and coat with 1/3 of the honey mixture, bake at 375 degrees for 30 minutes. Remove from oven and flip them over. Brush them with the second part of the honey mixture and put back in the oven for another 45 minutes. Remove from oven and toss with the remaining sauce and serve immediately. Now for some chili, this is a twist on my original turkey chili recipe posted here. This is a beef version that is very satisfying for any hungry Super Bowl crowd! Heat the oil in large pot or Dutch oven over moderate heat. Add the onion, bell pepper, jalapeno pepper and garlic, cover and cook, stirring occasionally until the vegetables are soft, about 10 minutes. Add the ground beef, breaking up the meat with a spoon, until the meat starts to brown. Stir in the tomatoes, tomato paste, stock, pepper flakes, oregano, chili powder, salt and pepper. Simmer, partially covered, stirring occasionally, for 30 minutes. Stir in the beans and cook, partially covered, 20 minutes longer. 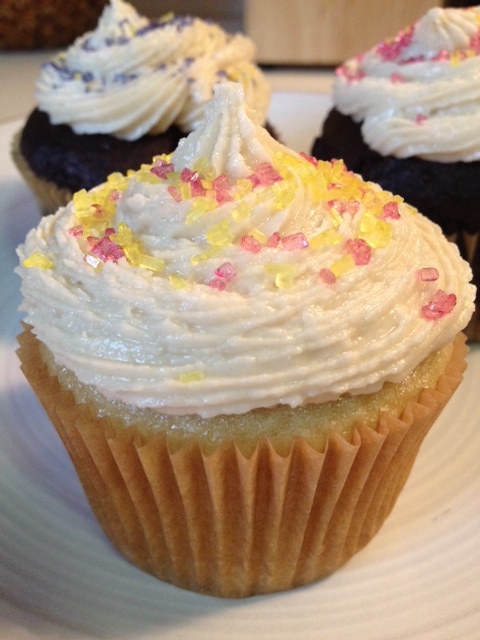 And for Dessert...I made chocolate and vanilla cupcakes. Decorated for the occasion of course! The chocolate cupcakes are my cake recipe posted about first here. The vanilla cupcakes are posted below. My sprinkles are from India Tree. In a bowl mix together the flour mix, cane juice, salt, baking soda and xanthan gum. Add the coconut oil, vinegar, vanilla, egg and water. Mix until combined. Additional info: This icing recipe is enough for the outside of the cake. If using it to fill the cake as well, you need to double the recipe.